For those of you who didn't make to Tom's lecture in May, here's a few important training principles that Tom focused on. Try and implement them to your own training and you'll surely see results! Not surprisingly finger strength made it quite high on Tom's list. Training with weights on a hangboard, using multiple grip types and then again realizing not to train finger strength when having an injury are some good guidelines how to begin. Nutrition is important for everyone, not to mention an athlete or an active person who wants to take their climbing forward. When discussing about the optimal body weight Tom mentioned that being extremely skinny is not really necessary nor ideal because of the climber being more injury prone. Obviously having extra weight is harder for your fingers. The optimum BMI would be around 20 (+-) - that is the sweet spot according to the data they've collected. System board is a great tool for training - especially for those who clearly climb more with their feet and are excellent on slabs but might lack the upper body power and "snap". Flexibility is also one thing Tom highlights: especially the lower body flexibility and shoulder mobility. A good tip is to stretch at least 3-5 times a week for 15min. He thinks this benefits one more than just one 2 hour long stretching session a week. Certainly every climber has heard about the importance of core conditioning. Tom sees that with complexity, varying exercises and frequent training on this will take one's climbing further. He also swears on training with rings and TRX for strength and mobility. He pointed out that everything you do, remember the sports specificity! "Will this help me with my climbing?" If the answer is yes - you are probably in the right. And last but definitely not least (this is where many climbers go wrong): REST. Training + rest = progress! Your body needs rest to get all the benefits from all that training. Train frequently, give it time, take care of your body and stay injury free - this will take you far! 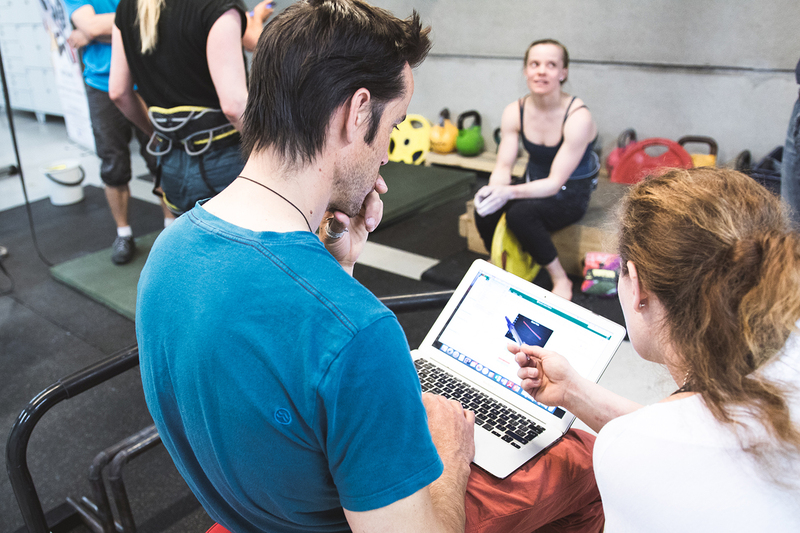 If training on your own feels difficult or you need a helping hand on how to get started - please contact us at Boulderkeskus! In Autumn we will have a second "Kohti seiskaa" coaching which is a small couching group for climbers who want to take their climbing towards 7A and so forth! The first course was a great success and we can't wait for the next one to begin! Soon there will also be a wider range of personal coaching options, training plans and assessments for all our customers. Stay tuned for more info on our Facebook, Instagram and website.